The time has come to show what you've got. See if you have what it takes to be a B-Daman champion. 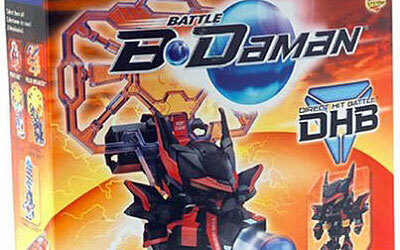 Get ready for ultimate Battle B-Daman tournament play, where only the best can emerge as champion. Awesome arena features ten different games plus cool accessories. Hone five separate skills on the four-foot-long B-Dabattle field arena. Comes with puck, B-Daballs, target gates, barricades, BDaman, target pins, and event spinner.